Cookies are a great way to get your protein because it’s always a good time to have a cookie. The best part about these recipes is that they taste like normal cookies. 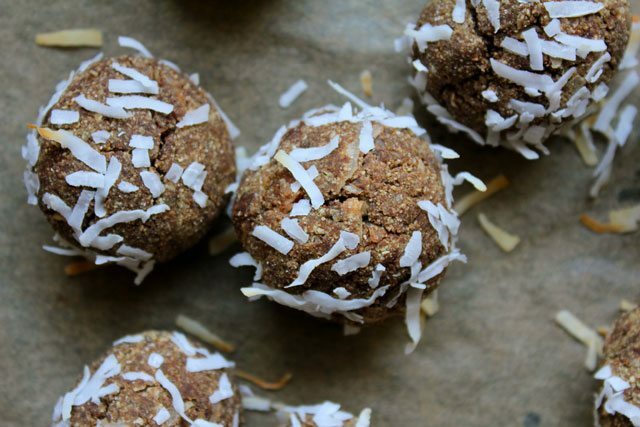 They just come with a protein punch that isn’t typically part of your cookie experience. This means that you’ll be more likely to eat them, and more likely to hit your protein quota for the day. They come in a variety of flavors, so try the ones that jump out at you and see how satisfying protein supplementation can be. Let’s start our list with a way to start your day. These cinnamon roll cookies taste like cinnamon rolls thanks to the cinnamon roll flavored whey protein they’re using. There’s even more protein added thanks to the use of peanut butter, and the icing looks sinfully delicious but there’s nothing sinful about it. They’ve used white chocolate chips and more protein powder to come up with the drizzle, so you’re only packing on more delicious protein by giving them the classic icing that cinnamon rolls require. Honey will give these the sweetness they need, and Rice Krispies give it an unexpected crunch. It’s nice to know that you’re only 15 minutes away from enjoying these protein cookies, and that it only takes 5 ingredients to make them. The steps to make these couldn’t be much easier, and all you have to do is mix everything together and bake them up. The ingredients include whey protein, oats, peanut butter, and even bananas, so they’re going to be super-healthy, and provide you with important minerals like potassium, as well as fiber and healthy fat. With protein from both the powder and the peanut butter, these cookies will keep you feeling good for a few hours. She also gives a recipe for an extra chocolatey protein cookie. Maple syrup and almonds are a great match, and these protein cookies rely on naturally sourced ingredients to make them taste great. One nice thing about these cookies is that they contain no dairy or grains, important if you’re trying to reduce your dairy intake, or avoid it altogether, or if you’re following a gluten-free diet plan. There’s whey protein, which has some lactose in it, but almond flour takes the place of regular flour. Maple syrup sweetens things up, but you could also do raw honey. If you’re a fan of chunky monkey ice cream you simply must try out these chunky monkey cookies. They have many of the same ingredients as the popular ice cream, but you don’t have to feel bad about eating them. They get their protein from peanut butter, flax, and pecans, so they’re not relying on protein powder to make them a good source of protein, they’re using natural food items. The sweetness comes from their very own date paste recipe, so you don’t have to add any refined sugar to these, but they’ll still come out tasting yummy. Beans are not just high in fiber, they’re high in protein, and they’re using black beans in these cookies to supply you with more protein than you’d usually get with a chocolate cookie. All of the ingredients in this recipe have been hand-selected for their wholesomeness, helping to keep these cookies as healthy as possible while still being delicious. Examples include rice flour instead of traditional flour, and coconut oil instead of vegetable oil. They’re also using natural, unprocessed sugar sources like coconut sugar and honey. Overall, you can tell a lot of love and thought went into these cookies as well as a healthy dose of protein. Traditionally made gingersnaps don’t have much in the way of protein, but this recipe fixes that so you can enjoy the familiar taste of gingersnaps but with added protein. They come out big and fluffy, and when you taste them you won’t believe that there’s a half cup of protein powder snuck into them. And that’s really the key, especially if you’ve had a history of drinking bland and boring protein shakes, you decrease the likelihood that you’ll drink them. Here they’re taking that same powder and putting into a more delicious form, making you more likely to hit your protein targets. 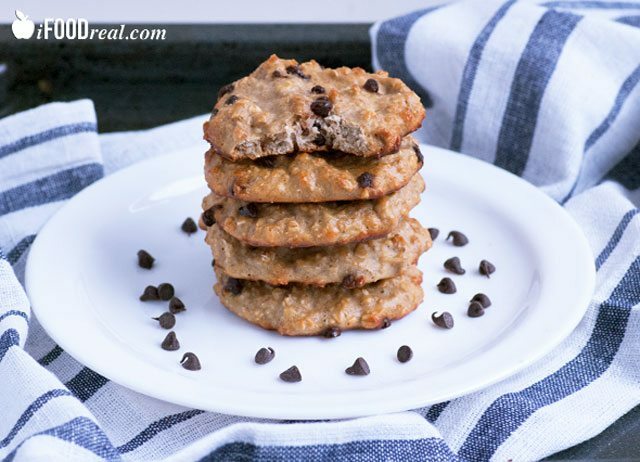 These bites will have you coming back for more, as they feature the classic taste of chocolate chip oatmeal cookies. You don’t have to bake them, so you can enjoy them that much quicker, and they’re a great choice for a hot summer’s day when you don’t want to turn the oven on, but still want something that tastes like a cookie. Almond flour, peanut butter, and rolled oats provide protein, and this is one recipe where you wouldn’t want to add protein powder because it would throw off the consistency and texture, which is just right as-is. 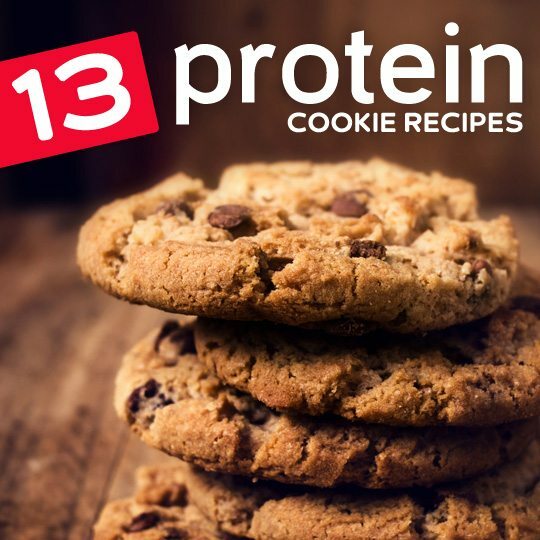 These cookies are using hemp protein powder as their protein source, and it’s a good way to showcase how you can use protein powder in different ways than just a shake. This is especially true with hemp protein powder because it responds differently than whey protein when used in recipes. We like that they’re using flax seed as well for even more omega-3s than you’re getting from the hemp. The end result is a high-protein cookie comes shaped as balls so they’re more of a novelty than your average cookie. Cookies and cream is a wonderful flavor to make into a protein ball because it captures the essence of cookies and cream ice cream and puts it in a more popable form. They are infusing these with protein thanks to Cookies and Creme flavored Muscle Milk, one of the more popular protein products. This will make sure you’re getting the right flavor, as well as a good dose of protein. There’s also rolled oats, peanut butter, and flax seed, so there’s plenty going on here in terms of nutrition, and this is one dessert item that will have you feeling better after you eat it than before you did. If you’ve been known to eat Girl Scout Thin Mints by the sleeve, you need to make a patch of these protein-filled ones to see if they can help you avoid the annual binge. So how did they capture the deliciousness of a Thin Mint and put more protein into it than a cookie should ever have? They used protein powder for the protein, peppermint extract for the minty flavor, cocoa to make it taste chocolatey like it needs to, and stevia to sweeten it up without using sugar. These cookies have a lot going on, and protein is just one of their features. 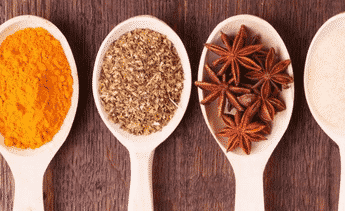 It comes from cinnamon-flavored protein powder, and the cinnamon flavoring acts to bring all of the competing flavors together into one cohesive unit. The craisins provide the tartness and chewiness, and the oatmeal acts to give this the taste of a classic oatmeal cookie. The pumpkin is added via pumpkin puree and helps to smooth out the texture of these cookies and mixes well with the cinnamon flavor from the protein powder. This is a classic recipe rendered in a healthy way thanks to the use of the trendy superfood quinoa. 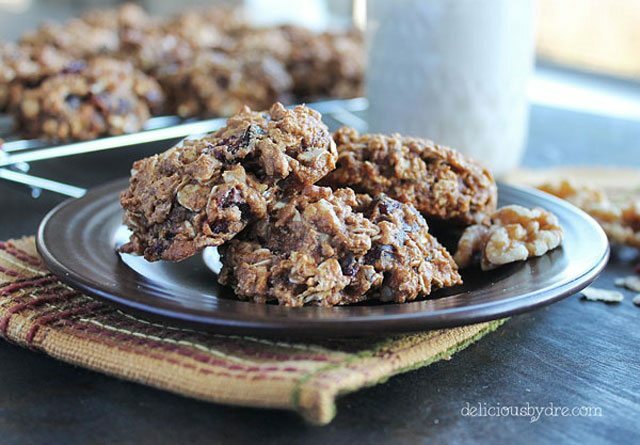 This instantly adds not only protein, but fiber, vitamins, and minerals to the cookies. The best part is that it doesn’t detract from the flavor of the cookie, and you won’t feel like you’re eating “health food” when you have these. There’s a pretty substantial amount of ingredients in this ingredients list, but each one is important if you want these to come out looking and tasting good. Aside from spotting a few quinoa pieces here and there, you may be able to pass these off as regular chocolate chip cookies. 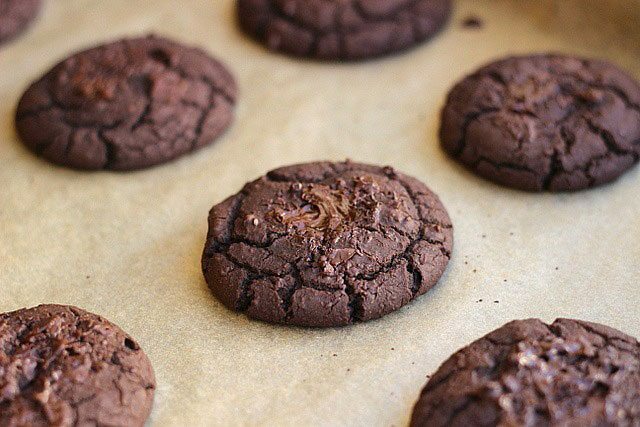 These cookies use carob chips rather than chocolate chips, and they’re made without using oil, making them a great choice if you want a classic taste, but don’t want to spoil your healthy eating with a fattening cookie. The protein comes from protein powder, almond butter, and flax seed or an egg depending on which direction you go. Chickpeas also add a big boost of fiber to these cookies, so they’re really loaded up to the max with various types of protein from different sources. What’s most surprising is that it all tastes amazing, and these are cookies you’ll look forward to having. Where are the actual recipes? do you want to try some samples?